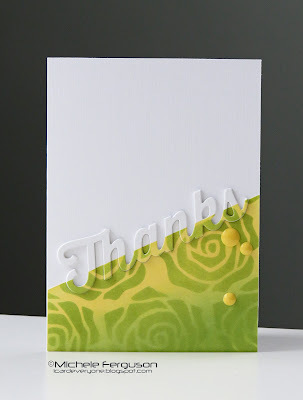 which inspired me to use my new PTI Colour Pop Florals mini kit to make my card. and then twice from a coaster, stacked them together and added them back to my card. Fabulous take on Michele's card, the colours you used are so pretty Ashleigh. Hope you're having a lovely weekend! Yay for multi tasking. Your card is beautiful. The angle really adds so much. So pretty - really love that spring colour combo. Leigh , this is a great lift of the card ! Beautifully done Leigh, this is wonderful!! I love your take on this. Very fresh! Gorgeous, Leigh. Love your stencilling. What a gorgeous interpretation of the inspiration card! Very pretty, Leigh! Lovely Spring-like addition to the Muse gallery! LOVE Michele's card and YOUR card, too! Such pretty colors! I love every little detail on this card, Leigh, it's outstanding!! Love how you have done this Leigh, just a touch of colour to the sentiment and the floral stamping just perfect. So pretty! Love the spring-like colors you used here.